The increase of mobile applications and Smartphone’s throughout the world has had a profound impact on how it effects the way individuals communicate and interact with each other as well as their daily lives. With so many mobile apps development for various platforms like iPhone application development, Android application development etc, now available for download from various Mobile Application Marketplaces such as Apple’s iTunes Mobile App Marketplace or Android’s Droid Marketplace, many high-tech hackers and fraudsters have now been focusing on the mobile application industry as a way of penetrating and gaining access to valuable personal information from one’s device. The issues with hacking and illegal activities via the internet and computers really started becoming a major issue during the 1990’s during the dot com boom but now hackers and fraudsters are using mobile devices, specifically mobile apps as a new way of accessing someone’s personal information. Many hackers and fraudsters are able to access valuable information such as an individuals contact list, banking information, calendars, notes and any other personal information one may keep on their Smartphone devices or Mobile Apps. ThreatMetrix – which has been known as a trusted cybercrime prevention company has recently introduced their new mobile software kit which helps identify fraudulent transactions that originate from mobile apps and Smartphone devices. ThreatMetrix’s newest product is called TrustDefender Mobile and it is tailored to expand on ThreatMetrix’s already established malware detection and cookieless device identification technology for laptops and desktop computers. TrustDefender is entering the marketplace at exactly the right time as various mobile and wireless channels are now becoming a hotbed for fraudsters. With many companies now also allowing their employees to use their personal Smartphone as their work Smartphone device, a lot of concern has risen that valuable company information may leak out by an employee using their Smartphone device for personal use and for that reason, many companies are now requiring their employees to install the TrustDefender software onto their Smartphone devices. The threat of valuable information being stolen has seen a 500% increase over the past year and many mobile application development experts and mobile application developers are expecting that trend to continue moving into the future. 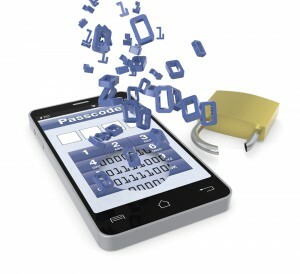 With its growing popularity and rising demand for new and improved mobile apps development, the mobile application industry is certainly heading in the right direction but at the same time, companies and individuals must always be aware of hackers and other fraudulent individuals who may compromising valuable information thru Smartphone’s and mobile applications.